MyUniverse – Get Rs 100 Flipkart voucher on Linking account. MyUniverse is designed to protect the confidentiality, integrity and security of your personal information during storage and transmission of your data. As you start adding your financial accounts, MyUniverse keeps track of more things for you and it learns about your finances and gives you personalized, rule based, automated advices. 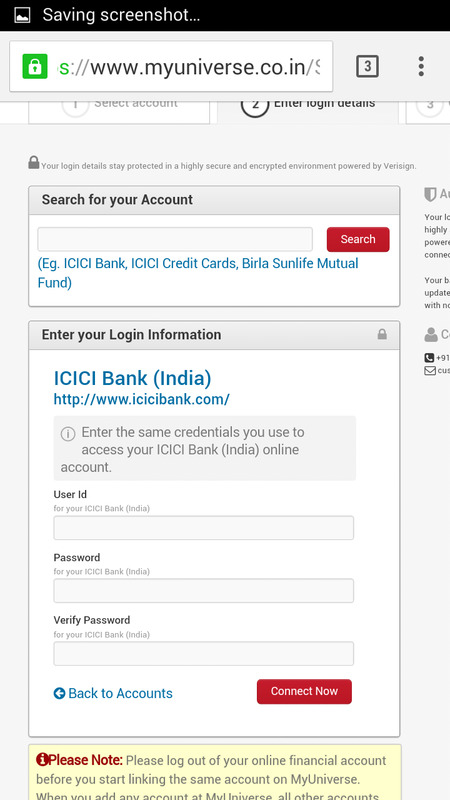 WARNING- Though MyUniverse is an ADITYA BIRLA MONEY initiative, we request you to try this at your own risk as they are asking for our Personal Bnak accounts details like Passwords. We will not be responsible for any harm caused later.
) Firstly goto MyUniverse Offer Page here. 2) Login or Register for a New account on MyUniverse. 5) That’s it. You will receive a gift voucher within 30 days of linking the accounts. Is it verified by you sir? Aese kaise share krde bhai apne bank details 100rs k upr… ???? how to shere link account, share your Name, Email, Mobile no and Linked Account number to [email protected] ???? But Don’t enter your internet banking details..
we have Posted this offer because they give Rs 299 in Bank previously which is Super loot just before 1 year only for linking pancard number. Its asking for our NETBANKING password. if we dont enter NB details, then our account will not be linked naa. works on freecharge(YES BANK) virtual card?? Myuniverse is giving Rs 299 money in bank in their previous campaigns.